The Mongol Empire was the largest contiguous empire in history. It was started by tribes in the Steppes of Central Asia. Genghis Khan united the Mongol tribes in the Steppe and proceeded to decimate their enemies. Using superior technology and more sophisticated battle tactics allowed them to dominate the battlefield. At it’s height it covered 9 million sq mi. Subutai was Genghis Khan’s best strategists and a military genius few could compete with. He operated more than twenty campaigns, conquered thirty two nations, and won sixty five pitched battles. In this time he conquered more territory than any commander in history. Subutai managed to defeat the armies of both Hungary and Poland within only two days of each other. It’s unbelievable but Subutai would even be able to command multiple armies over 500 kilometres apart. Subutai took part in the war against the Jin dynasty. The war was interrupted halfway through when Genghis Khan died. His son Ogedei took over and personally led the Mongol army against Jin. They attempted to take Henan but were forced to retreat when Subutai suffered a rare defeat. They attempted to take Henan again later, and this time Subutai successfully defeated the Jin forces. Subutai was a strategic genius and may be one of the greatest commanders in history. He worked for both Genghis Khan, and Ogedai Khan, and lived to the ripe old age of 73. One of the Mongols greatest strengths was mobility. This is largely down to their horses. The Chinese horses were much larger and stronger than the horses used by the Mongols. They were also heavily armoured, and required a lot of food to survive. Mongol horses were much smaller, but also much, much faster. Mongols were able to travel further more quickly on their smaller horses. A Mongol horse could literally just survive on grass alone. And these horses were in abundance for the Mongols. Each warrior would have around five horses to himself. When one horse got tired he would simply switch to a fresher one. This mobility allowed them to run rings round their opponents. 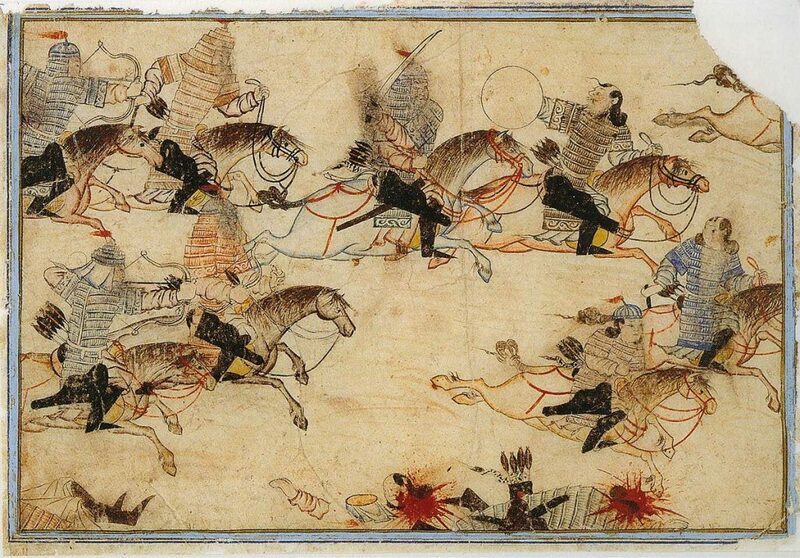 Mongols could travel miles and miles without losing much speed, much faster than other forces around at the time. Most cavalry at the times was heavy and slow which put them at a major disadvantage. The Mongols diverted from systems other civilisations used, instead they promoted people on a purely meritocratic system. It was possible for someone of the lowest position in society to rise all the way to some of the highest positions in the army. In fact this is exactly how Genghis Khan’s greatest adviser, Subutai, reached his position. Subutai was the son of a blacksmith, and ended up become one of the most influential man in the empire. This meant that all the officers were capable men and didn’t just buy their positions or gain it through connections. It wasn’t uncommon in some civilisations for positions to be bought and sold. This led to a lot of incompetents running armies and making dangerous blunders. The Mongol Empire avoided this problem. 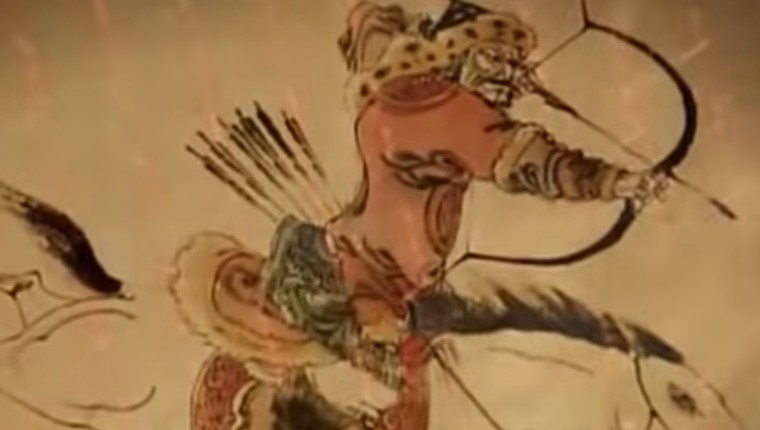 Perhaps the main reason the Mongol Empire dominated is because of their vastly superior archers. No other archers at the time could truly compete with the Mongols. Mongols would train with a bow from the age of two or three, and would practice by hunting. Mongol children were taught to hunt wildlife by older Mongols, and Genghis believed that hunting was good preparation for war. 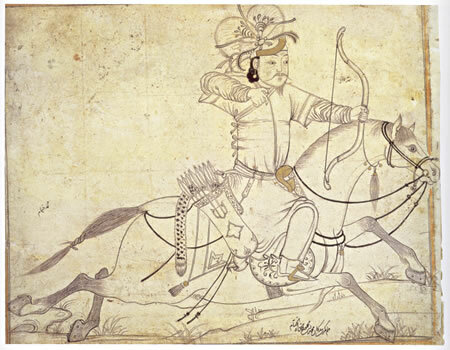 The Mongols were even dubbed the nation of archers by the Armenians. 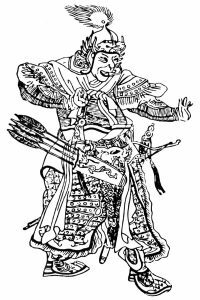 The Mongols used a recurved composite bow. Mongols were trained to expertly fire shots both in unison, and on their own. Although there bows were small, because they were composite bows they were actually as powerful as larger bows. And being lighter they were easier for Mongols to carry. Organising the empire into different types of units, of varying size form large to small, allowed for much greater control over the army, and more complex tactics. Genghis organised the army this way himself. He made a tumen which had ten thousand soldiers, a minghan had one thousand, a jugun had one hundred and an arban had only 10. This allowed him to effectively split his forces in a way that allowed them to accomplish many different tasks at the same time. One important advantage is that it allowed battlefield commanders to remain in charge during a battle, instead of just sending in a large army and hoping for the best. Genghis made sure to enforce discipline in his troops, resulting in an efficient army. Commanders in the army made sure to split up new recruits and keep them away from their original tribe. He needed them to be loyal to him, and not to some other tribal leader. They had to go through strict training, and no one was exempt, not even a general. Before Genghis Khan the Mongol tribes fought each other relentlessly, but under Genghis they were united. 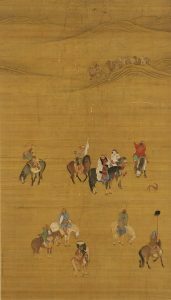 By separating new recruits they developed bonds with the Mongols around them, and gained a sense of identity with the whole army. 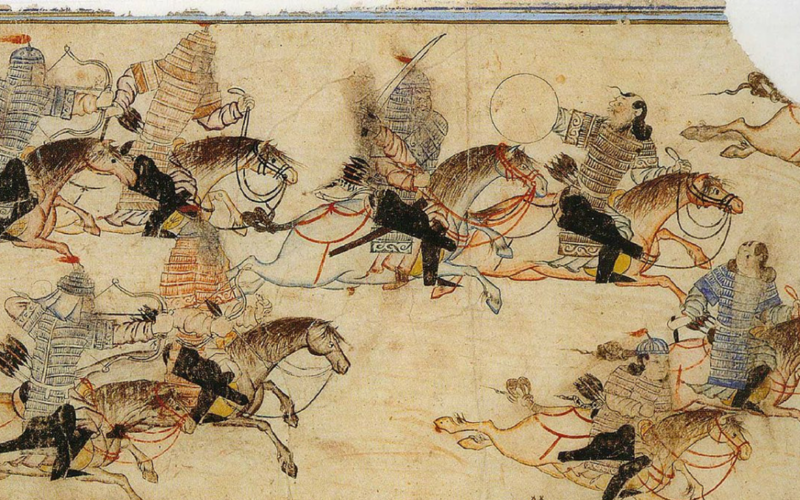 One of the most successful tactics of the Mongol Empire was the feigned retreat. Mongols would pretend to retreat in order to get the enemy the enemy to chase them. They could run away for miles with armies chasing them all the whole way. The Mongols would then either lead them to a battleground they favoured and turn and fight somewhere they have a geographical advantage. Or they would turn and attack their front, and reinforcements would charge and attack the enemies flank. Using this tactic they could gain an advantage over a numerically superior force. It’s impressive they could pull this off as feigned retreats are known to be one of the most difficult tactics for armies to do successfully. It’s very easy for an attempted feigned retreat, in the chaos to turn into a real retreat. 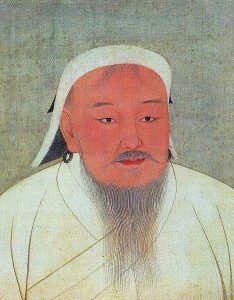 Genghis Khan was the founder of the Mongol Empire, and it was his leadership that helped them become as powerful as they are. He didn’t have an easy life growing up. Although his father was the head of a tribe, he was killed by an enemy tribe. Genghis was then abandoned by his tribe and found himself captured by another one. Eventually he managed to escape, and managed to unite the Mongol tribes under his rule. He disciplined the tribes, and got them to work together peaceful for a common good. Genghis created an empire bigger than anyone had ever seen, and he did it in one lifetime. It was Genghis that kept the Mongols together, and as soon as he died they quickly divided and began a slow decline. The divide was due to a major disagreement over Genghis’s true son. His oldest son was said to be illegitimate, and nobody could agree on who should succeed him.